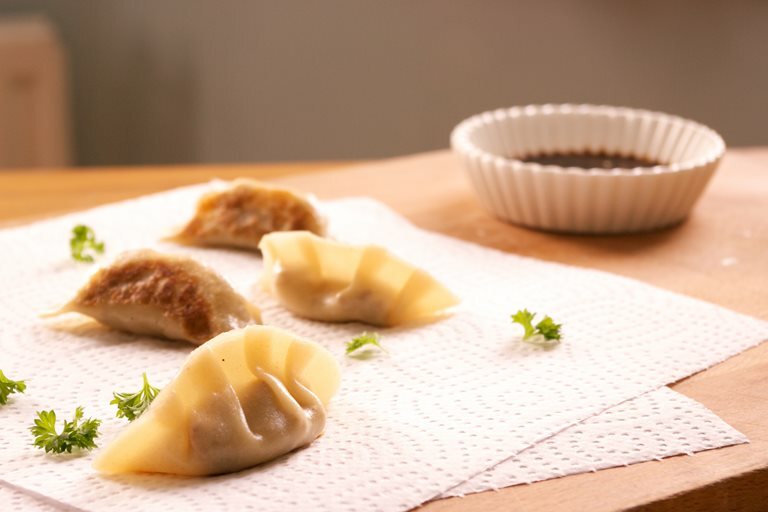 Nancy shares her wonderful recipe for spicy Quorn and mushroom dumplings, along with some useful tips. Quorn works brilliantly in this filling due to its chewy texture and ability to take on flavours. The trick to making really delectable vegetarian food is to think about all the ways you can coax out and enhance flavours. 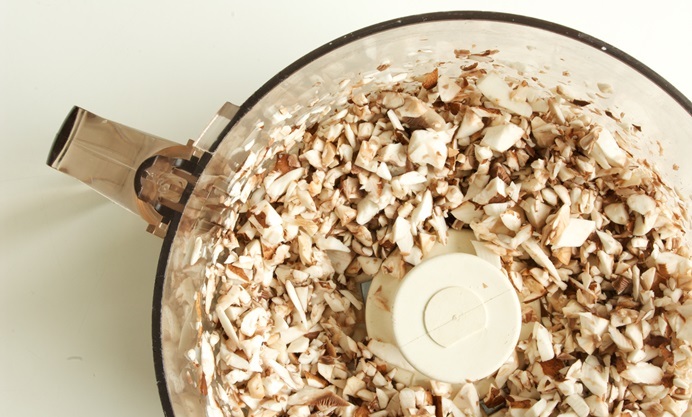 For many ingredients - raw vegetables, grains, even nuts, the flavour is quite subtle. While this can most certainly be enjoyed on its own merits, for the most part, the more flavour the better. So as I always do, the mushrooms are browned first, to enhance their umami flavour. This time chopped fine and roasted in the oven until dried out and caramelised, before being added to the rest of the ingredients. 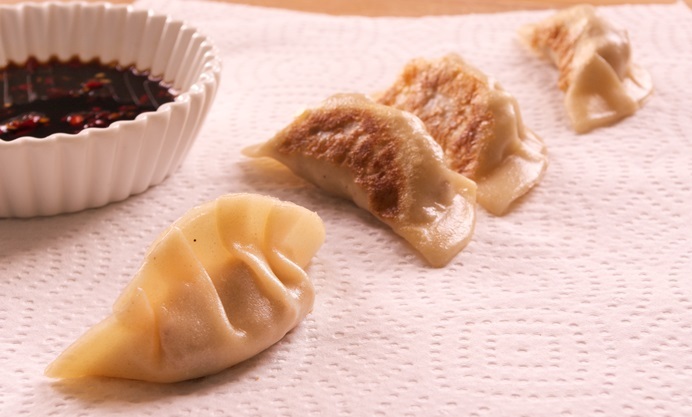 The filling for these dumplings is highly concentrated. 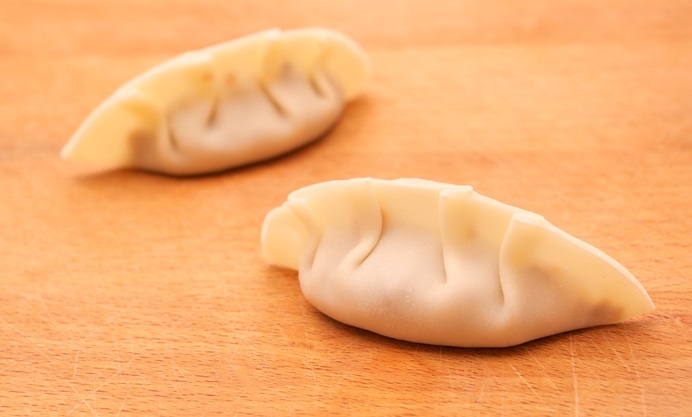 As each dumpling only contains a little stuffing, the taste needs to be big. Quorn works well in this filling because of its ability to take on flavours easily, as well as because of its natural chew which adds some much needed texture. Quorn and roasted mushrooms make up the bulk of the filling, but there are also dried shiitakes in there, adding deep, meaty flavour. Fresh, zingy garlic, ginger and spring onions bringing brightness. Hot, fragrant red chillies and Sichuan peppercorns for spice and soy sauce for seasoning. And that’s just the filling. The dipping sauce is also a fiery flavour-bomb that explodes in your mouth – hot from the chilli and garlic, nutty and savoury from the roasted sesame oil and deeply salty from the soy. The longer you leave the dipping sauce, the stronger the flavour will be, so use that information to achieve the perfect tasting sauce for your personal tastes. I like it strong! I have listed shop-bought dumpling wrappers in the ingredients to make this recipe as accessible as possible, but feel free to make your own dough should you feel so inclined, or indeed because you can’t find dumpling wrappers where you live. Simply blend about 200g plain flour with enough hot water to make a soft dough – not too dry and stiff, not too sticky. Run this dough through a pasta machine to make thin sheets and cut out with a biscuit cutter or glass. I’ve even had great success using whole grain flours if you’d like to add more nutrition. Great as a starter or part of a larger Asian meal – can also be floated in a flavourful broth for a wonderful dumpling soup.